Many things have contributed to the popularity of the AR-15 rifle platform. The weapon's modularity, value, and prevalence of aftermarket parts to allow you to customize the rifle to your own specific applications are all benefits that the AR-15 provides. The AR-15 is also a very accurate weapon platform, especially for a semi-automatic type of rifle. Installing a magnified optical sight on your weapon will enhance the accuracy of the rifle and that of the individual using it, and there are a couple of different mobile device applications that can help you get the most accuracy out of your AR-15/scope combination. We will use this blog post to highlight a few of them, and provide links at the end of the post for you to check them out. The Strelok application is available for iphone and Android devices. There is a free and a paid version (Strelok Pro). Both versions are free of advertisements, and the free version is actually incredibly good and useful. The paid version of the app has a much greater selection of reticles in its menu, and offers a very high degree of customizable data (imperial/metric measurements, MOA/MRAD/inches/clicks, weather conditions, target type/size, ammunition variables) to ensure your bullets are on target. It is also very user friendly; you can become quite familiar with how the app works and what it can do within a few minutes of installation. Be it the free or paid version, this app is pretty amazing. If you have a Nikon scope, the Nikon SpotOn application is a very good app for getting the most accuracy out of your rifle and optic. It is also available for iphone and android mobile devices. The online device is free, but the mobile apps are paid (though comparatively inexpensive). The app has a very user friendly interface; you don't have to be an honor graduate from a military sniper school to use it and receive the benefits it provides. While it does allow you to choose from a large menu of ammunition variables and atmospheric conditions data, the app is limited to Nikon optics and their reticles...if that is your brand of scope, it may be the app for you. There are a few other apps I have used that are worth checking out. 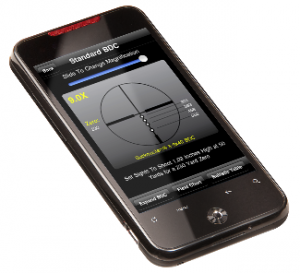 Lapua and Norma have free mobile device ballistic calculator apps, but both are limited to their product lines in terms of ammunition. If you use Lapua or Norma ammo, or ammunition with bullet designs and loads comparable to theirs, these free apps may be of use. 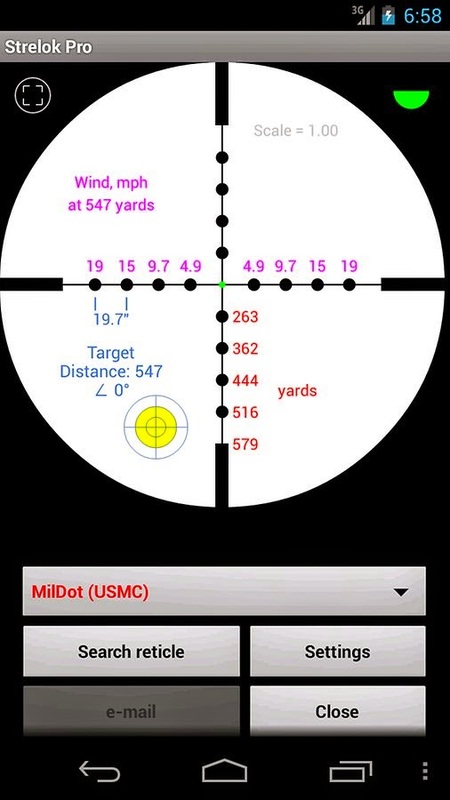 MIL Sistemika has a free and Pro (paid) version of their Sniper Calculator app for Android devices; the free version has a fair amount of customizable data, and the paid version has about the same features as the Strelok paid version described earlier in this post. I have found the Strelok app a bit easier to use/navigate, and it has a significantly larger reticle selection. You can find out more information about all the mobile device ballistic calculator apps mentioned by clicking on the links below. Enhancing the accuracy of your AR-15 with a quality optic, and your marksmanship capability with the knowledge and instruction these apps can provide will help you enjoy and get the most performance out of your AR-15 rifle. Thanks for reading our blog. If you have any questions about the AR-15 rifles we manufacture or the parts and accessories we sell at www.del-ton.com, please feel free to contact us. While Magpul Industries may have gotten their start in the industry with a clever way to make AR-15 magazine changes quickly and easily with their namesake invention, the company has routinely introduced innovative and dependable products that have become favored by shooters who use the AR-15 platform. They have always offered their products at a sensible pricepoint and the company has taken a positive stand when the Second Amendment to the Constitution is under threat. DTI is proud and thankful to be able to carry their products and to offer some of our rifle models with their quality products factory-installed. 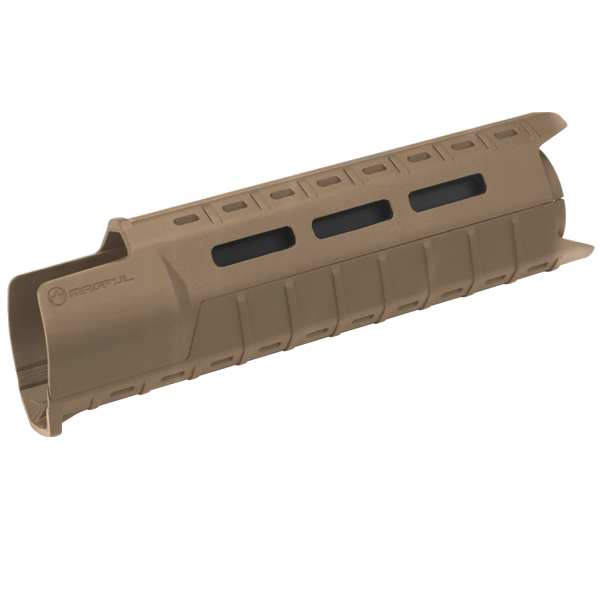 In keeping with their history of offering innovative and truly useful products, Magpul has once again designed and released some new AR-15 parts and accessories that promise to be in demand with owners of AR-15 rifles. In this blog post, we will describe and highlight a few of these new offerings. Building an AR-15 or modifying one you currently own is much easier with the proper tools. 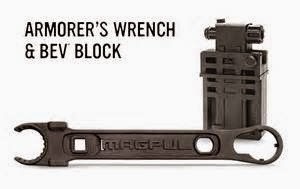 Magpul has designed a multi-tool Armorer's Wrench and a device to hold your upper, the BEV Block (Barrel Extension Vise). To keep it concise, the wrench will do everything-from muzzle device to stock and everything in between. The BEV Block securely holds your upper in a vise, so that you can use the wrench to perform any necessary modifications. The wrench and the area of the BEV Block that is inserted into the barrel extension are constructed from solid steel. The rest of the BEV Block is made from the near indestructible Magpul polymer, so it wont harm any other metal surfaces with which it comes in contact. 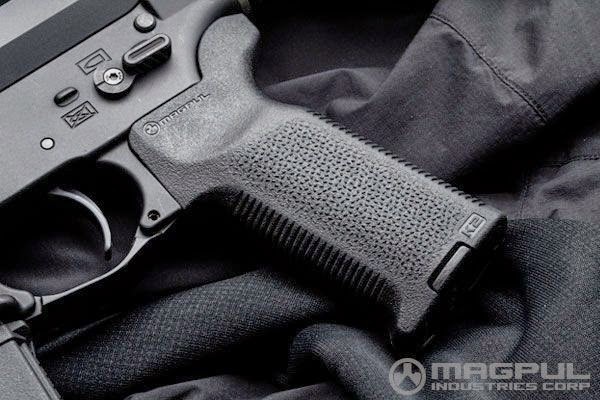 Magpul offers more styles of pistol grips than any other AR-15 parts manufacturer. Having a comfortable grip that enhances your individual shooting style preference is essential. The MOE and MIAD grips have been best sellers for years; with the recent prevalence of more AR-15 style rifles, a more vertical/less angled grip style is usually necessary for comfort and proper trigger finger placement. Magpul answered that need with the new K2 and K2+ grip. The grips have a more vertical orientation and still have the internal storage capacity of the MOE and MIAD styles. Having one in hand is about all you need to convince yourself this will be a positive part of your AR-15 rifle. Like the MOE+ grip, the K2+ grip has a soft coating that can enhance weapon control if your hands become damp, yet the bottom of the grip is free from this exterior to prevent any snagging during use. Magpul also has introduced a new MOE SL Handguard that is more slim than the original MOE handguard and offers extended pieces that surround the front sight base. This carbine length handguard is beneficial for shooters who use a support hand grip that is extended, and prevents the support hand from coming in contact with a hot front sight base. Installation of this handguard does necessitate the removal of the front sling swivel, but most current "sling use positions" require a side mount anway. Magpul offers a number of different ways to install a side sling attachment point on the handguard to remedy this. One way is through the new M-Lok attachment system. The SL handguard is ready for any of Magpul's new M-Lok rail sections or other parts. At the end of this post, there is a link to the Magpul page where installation and use of this new M-Lok system is described. These are just a few of the new products from a company that can be counted on to deliver quality and necessary products for making your AR-15 rifle more useful and fun to employ. All of these new products are on order, and many are already in stock at www.del-ton.com. Thanks for reading our blog. If you have any questions about these products or the AR-15 rifles we manufacture or the parts we sell, please feel free to contact us.